The beauty of starlight is rarely the subject of debate — some nights it can make all the difference in the world. But in the coldest of climates, stargazing may not be a nightly occurrence. This project changes all that so every night — and day — can be starry. 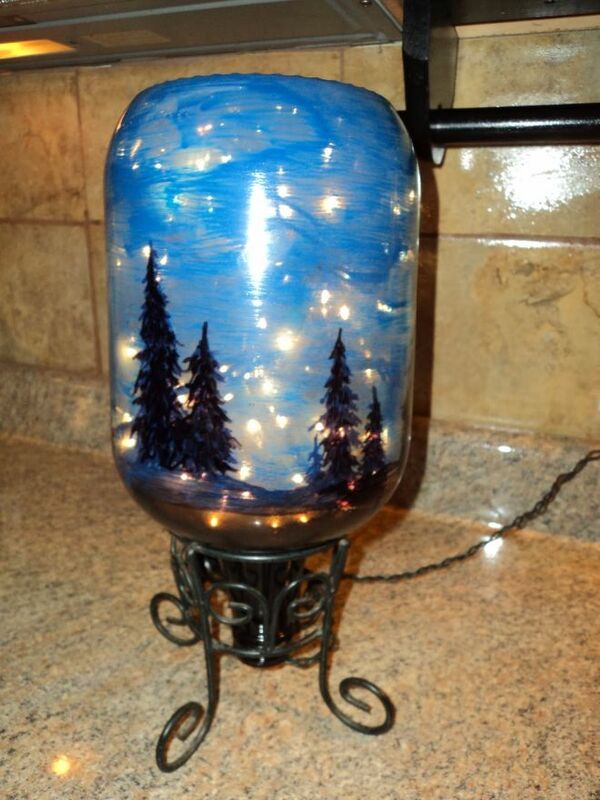 The artist hub Redo It Yourself Inspirations combines van Gogh and glimmering holiday lights with this nifty big-bottle DIY project. 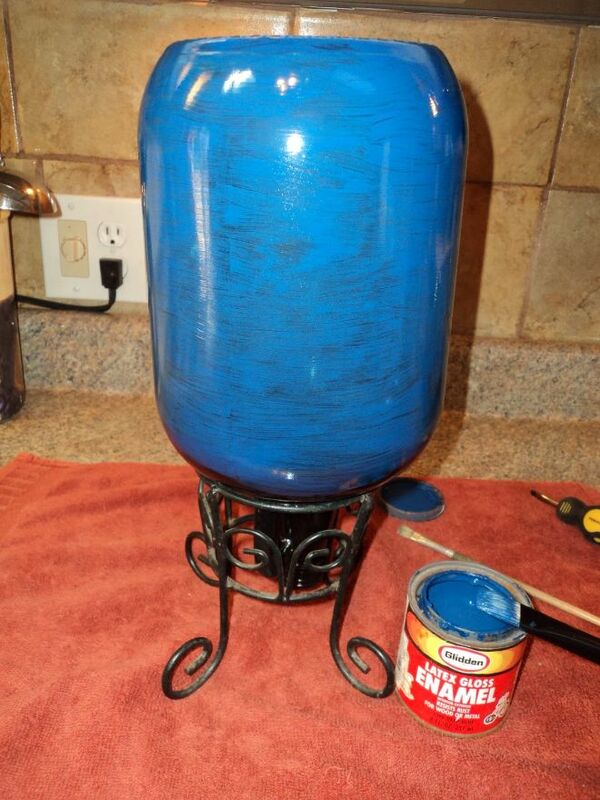 The possibilities are endless with this six-item project, involving two shades of paint, Sharpie pens, a bottle, a stand, and leftover holidays lights. You can find the full tutorial on Redo It Yourself Inspirations, but realize this idea can adapt to fit whatever landscape you prefer: desert, island, coastal, prairie, or cityscape. The beauty is in the flexibility with hues and scenery — perhaps even your favorite lines of poetry or an original ode. 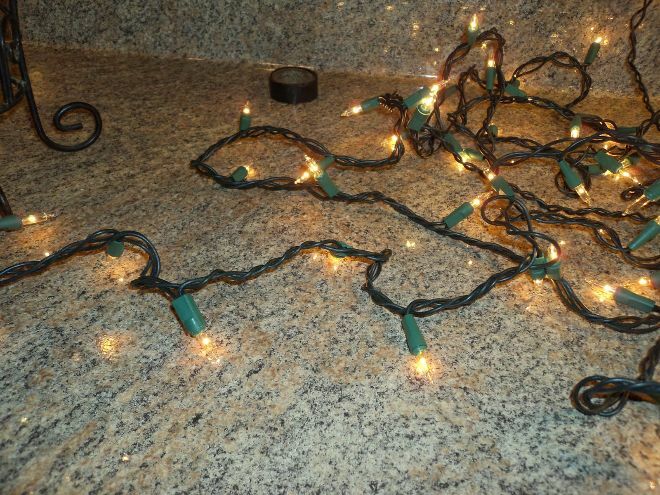 It's true you can reuse winter holiday string sets all-year round for that lustrous effect. But let's flex our decorating muscles and get even bolder: Trace an inspirational word on a wall to "spotlight" a motto or put fairy lights in empty snow globes to add ambience. You can even string them on the wall with photos to create a sparkling "clothesline" alternative to picture frames or liven up a shelf with some illumination. 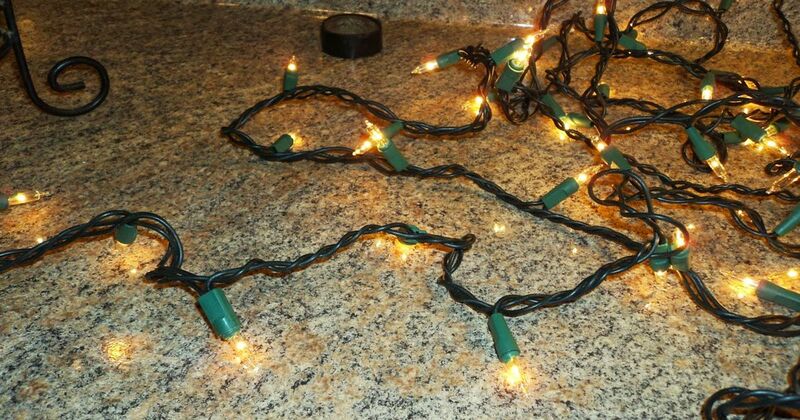 And if simple is your mantra, why not add Christmas lights to create shimmering canvas art? If you want to spread some dazzle, share this project with those you adore! Corinne of ThreadBanger demonstrates an otherworldly DIY project that will completely transform any room. We all have that mysterious lid lying around the house. Maybe you broke the dish, or it got left after a party. Well, now you have a real use for it!